Today not my usual style card. I am up with a mixed media card attempt. I chose a pale green textured base, ans a white front to start. I used many shades of DI in green to sponge on the white front. 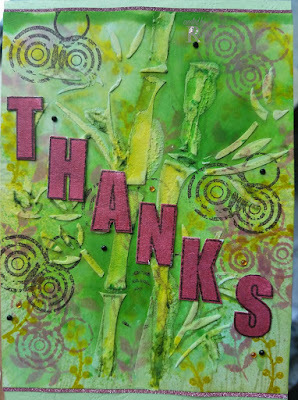 Then used a stencil to so some ghosting, followed by a bamboo stencil and embossing paste to add the texture. 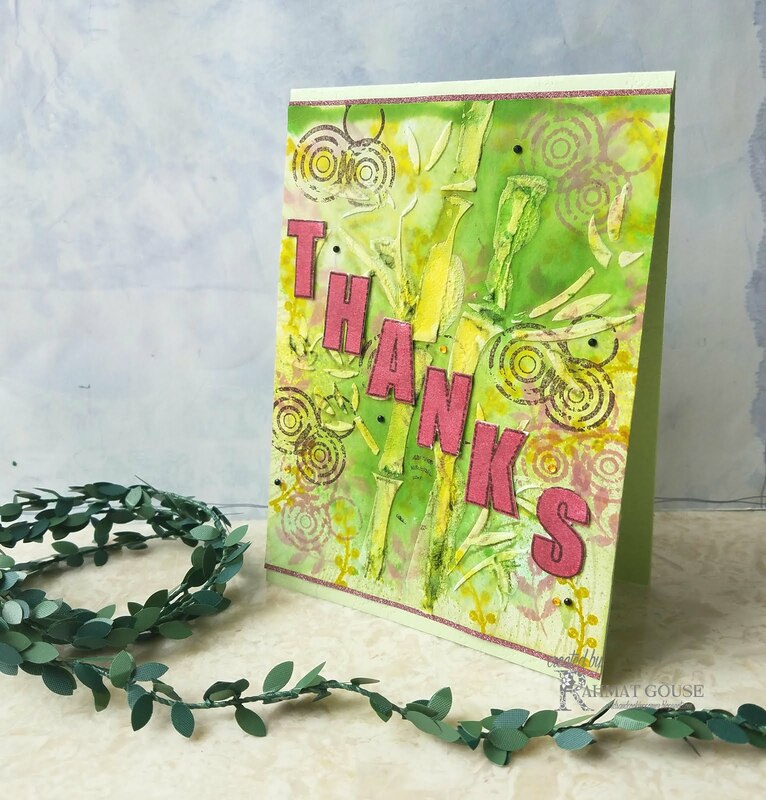 Once it was dry, I used Uniko's Natures treasure, and round and round stamps to stamp the leaves in the BG in shades of green and using the velvet rose ink. 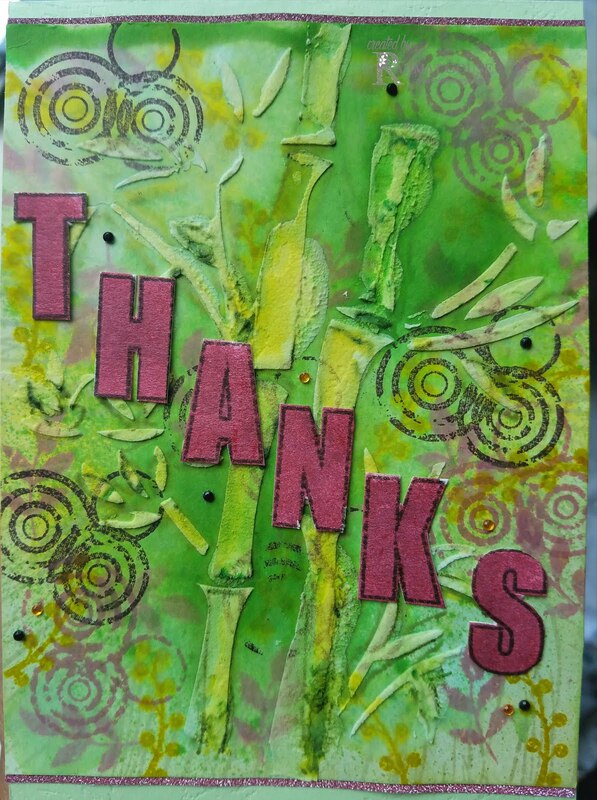 Then I stamped and embossed the Thanks also from Uniko and added color using a Marsgraphic marker, and fussy cut the letters and added diagonally, just to add interest. I edged the front with a maroon glitter paper and added to the base. What a fun background, Rahmat! I love how it turned out - thanks for joining us once again at the Simon Says Stamp Wednesday challenge! Fabulous textered background. Thanks for joining us at Alphabet Challenges. Caz DT.